Lorsqu'on aborde les difficultés du management des entreprises à l'international, on invoque quasi automatiquement des différences culturelles. Vous n'arriva pas à négocier avec les Chinois, c'est parce qu'ils ne veulent pas perdre la face. Avec vos relations italiennes, il faut partager une pizza. Et les Japonais disent toujours oui à tout. En fait, c'est quoi la culture ? Toward a Citizen's State is the fourth National Human Development Report (NHDR) for Lebanon. 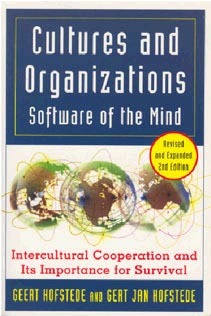 The first of the three was published in 1997 on “A Profile of Sustainable Human Development”, the second in 1999 on “Youth and Development” and the third in 2002 on “Globalization: Toward a Lebanese Agenda”. Work commenced on this current report at the end of 2005 in partnership with the Council for Development and Reconstruction (CDR). The theme was first chosen, the general framework for the development of key concepts outlined, a work plan was drawn up that included a list of background papers and brainstorming workshops and discussion groups were organized. This took place under guidance of a steering committee that included the different concerned parties. Of course the project team faced a series of challenges connected to the political and military insecurity that Lebanon witnessed during 2005-2008. Despite these exceedingly difficult circumstances, work continued diligently to develop and produce the report, and gather the necessary statistical data and indicators needed to measure human development, human poverty and gender empowerment in Lebanon.